Print a photo on a mobile cover. To ensure your photo prints come out the way you want, follow the basic rules below. 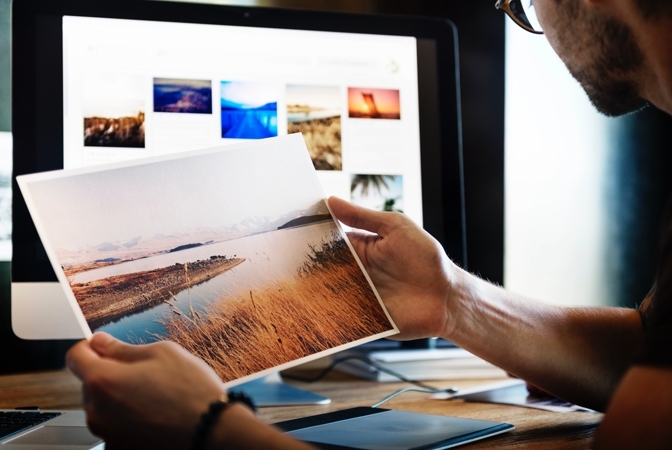 Before printing an image, choose the desired print format, crop the picture if needed, and don’t forget to check the pixel dimensions of the photo. Read our article to learn more about standard photo print sizes. There’re also 2 conversion charts that you’ll definitely find useful for printing. 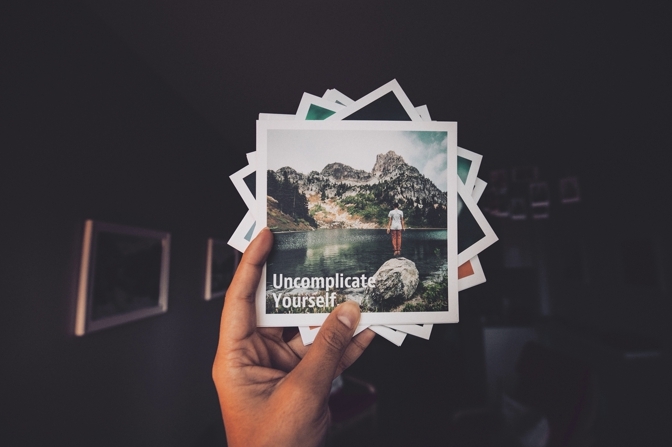 Once you’ve chosen the photos for printing, it’s time to pick a format. Print centers offer a great variety of photo paper sizes, which you can see below. Note: on average, all measurements are done in inches. However, you can use the metric system and easily convert inches into centimeters. 1 inch is equal to 2.54 cm. The prints measure around 4”x5 ⅞”. This is a standard – or regular – image size (but not the smallest one! ), since it mirrors the aspect ratio of most viewfinders. Note: the aspect ratio of an image describes the relationship between its width, which can be also called length, and height. This size has a higher aspect ratio compared with 4x6 prints. That means your picture will be cropped slightly on the longest side. As a result, you won’t be able to print a full size version of the image. 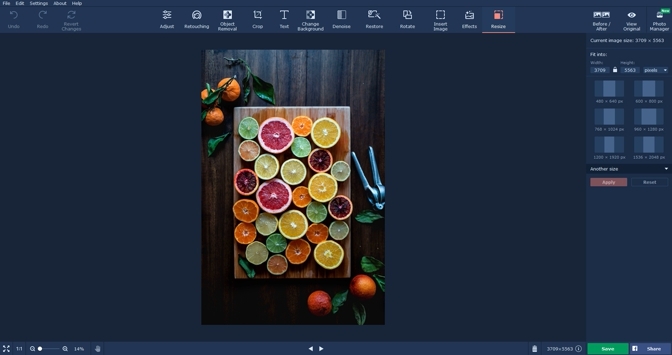 An 8x10 image has a 5:4 ratio. A picture will be cropped significantly on the longest side. This format is typical of Instagram photos and profile pictures on Facebook pages. 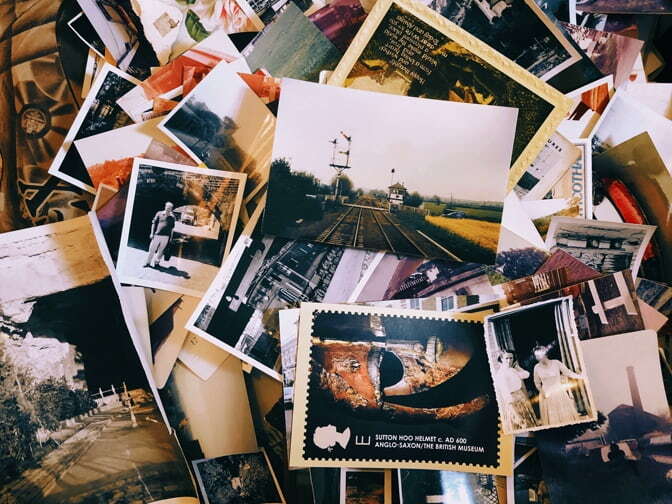 The square format of printed images also reminds us of Polaroid pictures. These sizes are perfect for creating posters. Below you’ll find large scale image print sizes and photo frame sizes. Creative tip. Choose a frame that is slightly bigger than your print. Add an insert between your picture and the frame. 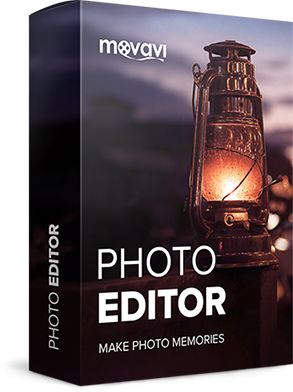 This will add a small border to your photo. The number of pixels per inch (ppi) is a crucial factor in printing quality. The more pixels per inch there are, the sharper the image looks. For medium print quality, we recommend 180 ppi. For a better print, opt for 240 ppi. For the best image quality, choose 300 ppi. In the chart below, you'll see the correlation between the print and file sizes for images at 300 ppi. For instance, multiply 4x6 inches by 300, and it’ll be 1200x1800 pixels. Besides, there are the ISO series of standard print sizes, known as the A, B, and C Series. The most popular one is the A Series. Check the following conversion chart to learn about A4 paper size in pixels as well as other ISO standards in pixels. Resize the image and constrain proportions. 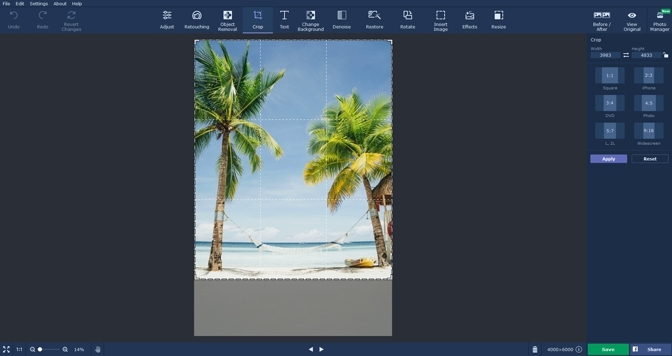 Choose the part of the picture you want to print and crop the image. Use the resizing tool to make the photo bigger. Note that, in this case, the image quality deteriorates. Enter the dimensions into the Width and Height boxes. Click the lock icon to disable the Constrain proportions option if needed. You can also change the measurement unit in the box on the right. Click Another size in the bottom of the panel to view more size options. Click the Apply button to save the changes. Enter the width and height into the corresponding boxes. Select suitable proportions from the list. Adjust a crop frame manually. Move its edges with your mouse. Click Apply to save the cropped image.